Also on display is "Playing with Light: The Magic of Lasers, Holograms & Kaleidoscopes." 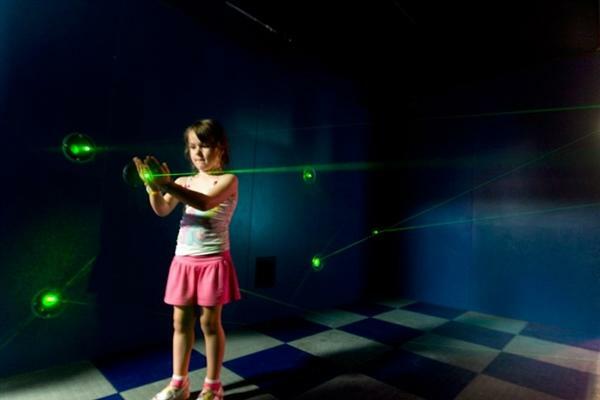 This interactive exhibit examines how light is used in the worlds of science, physics and art. From infrared security systems to laser surgery and fiber-optic communications, it looks at how light is in use every day in the world around us. This is exhibit continues through September 10th. The Peoria Riverfront Museum's Ann Schmitt is with us to shed some light on two of the museum's current exhibits. Its time to get wild this weekend on Out and About with a pair of events at Wildlife Prairie Park. Today, Jenn talks Doug Dillow, Executive Director of Wildlife Prairie Park to learn about the Art in the Wild photo contest and display, and we'll heat things up with a preview of the next installment of their Wildfire Concert Series. Nathan and Jenn talk with fiber artist Trish Williams to learn about her works and the Fiber Artists Coalition exhibition titled Wabi-Sabi: Finding Beauty in the Imperfect. 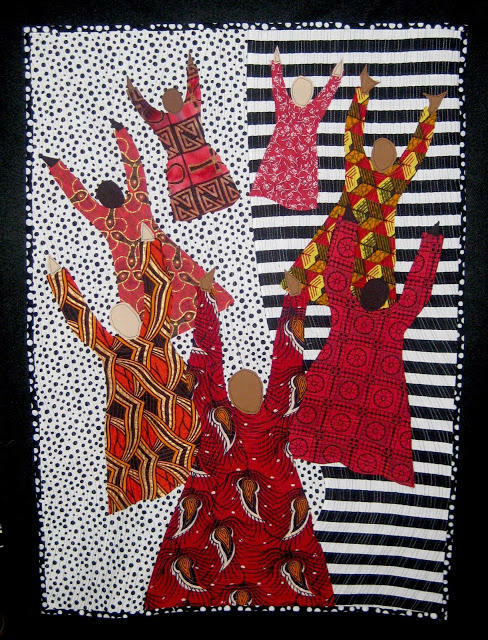 The fiber and mixed media is currently on display at the Foster Gallery for Christianity and the Fine Arts on the second floor mezzanine at First United Methodist in Peoria. 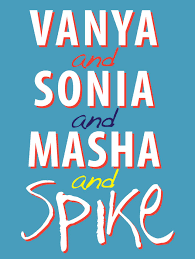 Corn Stock Presents "Vanya and Sonia and Masha and Spike"
This week, we're talking with Eric Ewan. He's directing "Vanya and Sonia and Masha and Spike" at Corn Stock Theatre. The names of the characters are drawn from the works of Anton Chekhov, but Ewan says the play stands on its own, without requiring a knowledge of those works. He also talks about the six-person cast, three of whom are returning to the Corn Stock stage after absences of varying lengths. The production continues tonight and tomorrow at 7:30 p.m. at the Corn Stock Tent in Upper Bradley Park.